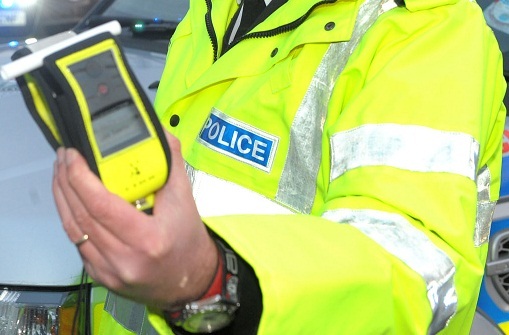 The number of drivers and motorcyclists detected drink driving during the 2018/19 winter anti-drink drive operation has decreased by 10.6%, compared to the same period last year. According to preliminary figures released, 322 drink drivers were arrested between 30 November 2018 and 1 January 2019, 38 less than during the same period in 2017/18. Commenting on the figures, Assistant Chief Constable Alan Todd said, “When we launched this operation at the end of November, we warned drivers not to take the risk because just one drink can impair decision making. Just one drink can cause a collision. Just one drink could kill. “Early figures indicate that we tested over 11,000 people during the operation. While that figure is expected to increase as more information is downloaded, we detected and arrested 322 people for failing those tests. “They can now expect a court appearance where they will most likely lose their driving licence for one or more years, be fined, and will have great difficulty in obtaining car insurance in the future. Some are at risk of losing their jobs or even going to jail,” he continued. “One person was detected at over four times the drink drive limit, with a reading of 153 micrograms of alcohol in 100 millimetres of breath – the legal limit is 35 micrograms of alcohol in 100 millilitres of breath. “At 14 years of age, the youngest person detected shouldn’t have been on the road -let alone failing a breath test. This individual is being dealt with for a number of motoring offences including Taking and Driving Away. Detections were made at all times of the day, across the road network; After being stopped by police for travelling at 101mph at 9am one morning, the driver then subsequently also failed a roadside breath test, with an initial reading of 101mg – nearly three times the drink drive limit. In another incident, after being involved in a collision, another driver was arrested for driving under the influence of drugs – approximately £3,000 worth of suspected drugs were recovered from their vehicle, leading to them being further arrested on suspicion of a number of drug offences. In another incident, police detected and arrested a HGV driver who was returning to their place of work, having carried out their morning deliveries. This year’s operation was also supported by the independent charity Crimestoppers, which gave the public the opportunity to speak up and provide information about drink drivers anonymously. Sue Brew, regional manager for Northern Ireland Crimestoppers said, “We appreciate that it can be difficult to come forward and provide information about drink drivers, particularly if it’s about a work colleague, a neighbour, a family member or a friend, because of the fear of being identified. “During December, we saw a 65% increase in actionable calls with information about drink driving, when compared to the average for the previous seven months. “As we said at the outset of this campaign, by trusting us with your information you’ll remain 100% anonymous. Always. We never take personal details and calls to our Contact Centre on 0800 555 111 and information passed through the Anonymous Online Form at www.crimestoppers-uk.org cannot be traced.